We offer fine quality single crimped wire mesh that are available in irregular weaving pattern according to clients' specifications. 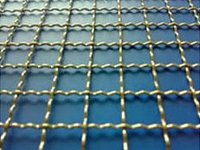 These Single Crimped Mesh are available in the range of 02 mesh to 500 mesh. 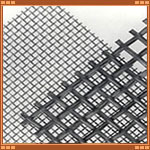 We come up with wide range of crimped wire mesh in various sizes and shapes. Our professional manufacture them using quality tested raw materials in conformation with varied quality standards. Our range has become the first choice of our clients due to its rigid construction, durability and high load bearing capacity. Our clients can buy them at the negotiable prices. Backed by rich industry experience and knowledge, we have been able to manufacture, export and supply premium quality Crimped Wire Mesh. This mesh is designed and manufactured using quality approved raw material under the stern supervision of our experienced professionals. It is used in different industrial applications such as aggregate screening, agriculture, water screens, automotive, guard screens, etc. Manufactured in different sizes and finishes, offered Crimped Wire Mesh is available at market leading price range for our clients.